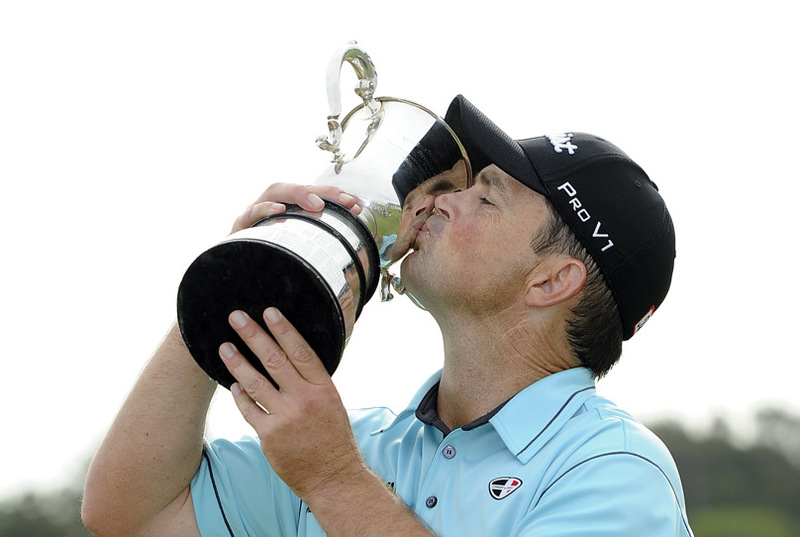 Greg Chalmers has won the 2011 Emirates Australian Open following an intense final round at The Lakes Golf Club. Chalmers, the 1998 Australian Open Champion, claimed his second Stonehaven Cup holding off a world class leaderboard of challengers to take the title. “I’ve got my name twice on the Stonehaven Cup, that’s phenomenal,” said Chalmers. Wearing his emotions on his sleeve at the post round presentation and media conference, Chalmers was an emotional Emirates Australian Open champion but said the win only inspires him to pursue new challenges. On his way to victory Chalmers shot a final round of 3-under 69 to finish with a 13-under par total. Despite finding the bunker on the last, he edged out John Senden who was likewise chasing his second Australian Open title. Tiger Woods finished in outright third, his final round of 5-under par sending a message to the crowds that the former World No. 1 is finding his way back to the top. “I had the lead at Augusta on Sunday (in the 2011 US Masters), that was the last time I’ve been in that spot,” said Woods. 2010 Australian Open Champion Geoff Ogilvy shot the best round of the day delighting crowds with 7-under. Ogilvy finished with a 9-under total in a tie for fourth with an all star cast that included Nick O’Hern, Adam Scott, Jason Day and Nick Watney. American Kelly Kraft finished the Emirates Australian Open as the highest ranked Amateur at 3-under par following rounds of 71, 74, 68 and 72. NSW Minister for Tourism and Major Events, George Souris congratulated Greg Chalmers on winning the Emirates Australian Open. “It’s always satisfying to see an Aussie win a major sporting event. This has been a magnificent tournament and has lived up to its promise with so many of the world’s top golfers in attendance including the great Tiger Woods who was in the running for the title right to the end. I hope this tournament in the Harbour City marks the resurgence of Tiger and he has fond memories of his visit here. “As for the tournament itself, it has been a raging success, with around 70,000 attendees on the course. This is almost double last year’s numbers plus the event attracts a worldwide television audience of hundreds of millions. “The NSW Government through Destination NSW is proud to support the Australian Open, a major international sporting event on the NSW Events Calendar. 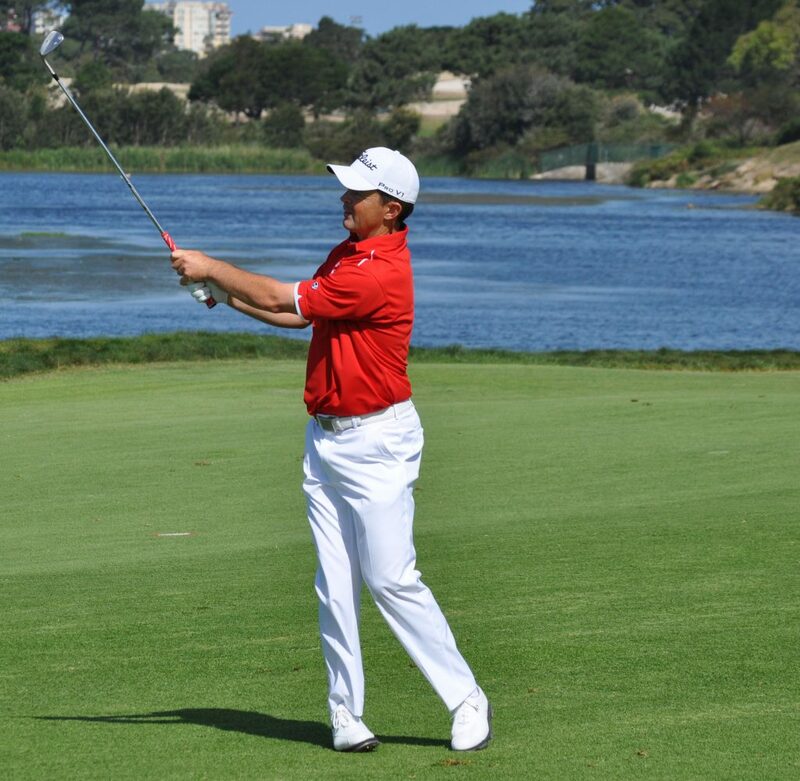 We will continue to work closely with Golf Australia and the PGA into the future,” he said. The Emirates Australian Open was co-sanctioned by the PGA Tour of Australasia and OneAsia. The PGA Tour of Australasia now moves north to Newcastle for the NSW Open Championship which will be played concurrently with the Presidents Cup. The Australian PGA Championship presented by Coca-Cola will be played the following week from November 24-27 at the Hyatt Regency Coolum. For the final Emirates Australian Open leaderboard click here. One Response to "Greg Chalmers claims second Stonehaven Cup"
Great effort by Chalmers. 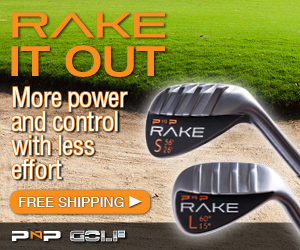 He was challenged by so many players on Sunday but held firm and finished the round off strong. Probably his best win ever considering the strength of the field at this years Australian Open.